Deposits may be required from commercial customers for electric, water and/or solid waste services. These deposits may be waived for property owners and for those customers who have established a satisfactory payment or credit history. I have a business; do I have to pay a deposit? Have documentation of 18 consecutive months of satisfactory commercial credit in the past two years. When do I have to pay my commercial deposit? Commercial deposits are due within 30 days of notification. How much is my commercial deposit going to be? Deposits for electricity and water are equivalent to the highest two months’ estimated billing. The solid waste deposit is four times the monthly rate. Will I get my commercial deposit back? Commercial deposits will be applied to your utility account after 18 consecutive months of good credit history. Tacoma Public Utilities may retain the deposit longer for good cause. 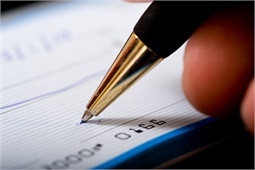 How can I pay my commercial deposit? Please allow up to 10 days for processing. 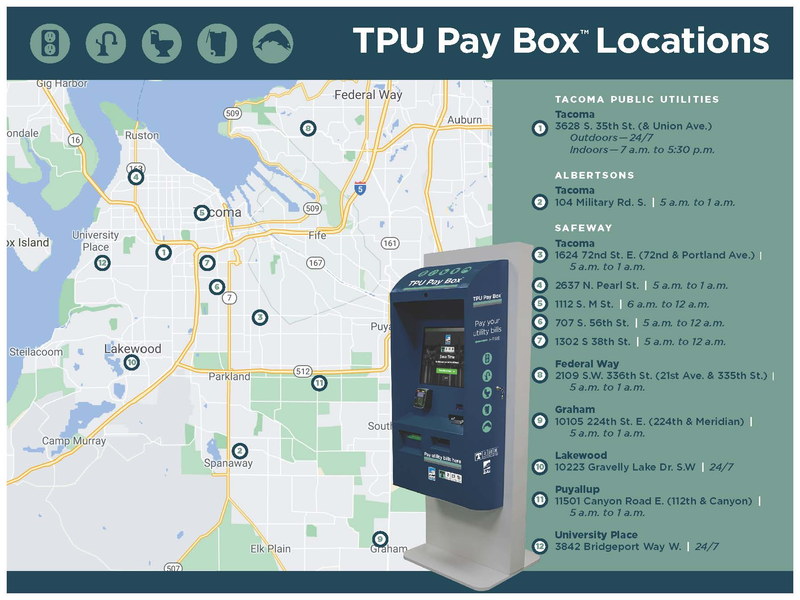 You can pay in person at the Tacoma Public Utilities Administration building at 3628 S. 35th St. or use one of our convenient Pay Box locations in select Safeway stores throughout our service territory.